Oh, Jean Street. How we feel so blessed to have found the home of our dreams. And the FIRST house that we saw on our hunt too. Can you imagine that? 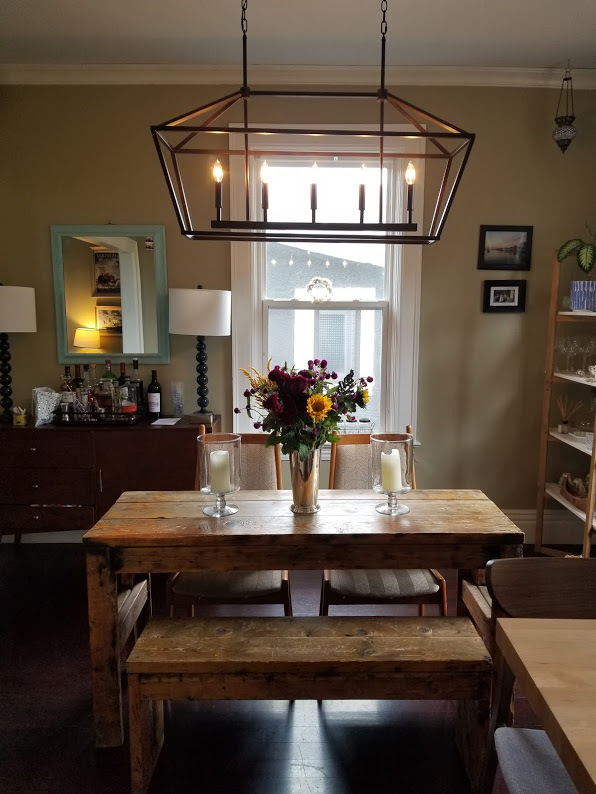 This 100 year old babe features 12 foot tall ceilings, original dark pine floors, infinite amounts of white trim, a stunner of a mantle and fireplace front, exposed brick walls in the kitchen, gas stove, big backyard- can you tell I’m madly in love? We were so lucky that we vibed really well with the former owners and were able to rent for a few months before purchasing last year in June. Aside from the aforementioned amazing features, our beloved Jean also has a sun porch, the most beautiful deep teal/aqua coloured paint in the living room, and basically oozed charm before I even got involved. But, my heart’s true desire to design, arrange, collect and showcase came out in full force once we purchased her.